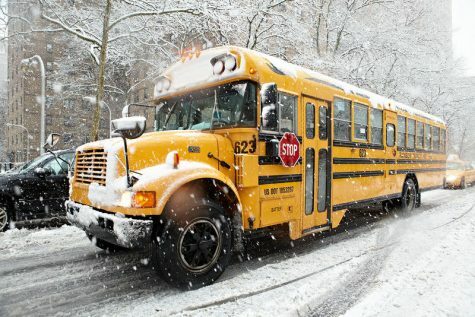 After last year’s disastrous early dismissal, the Pennridge School District has prioritized student safety, efficient communication, and making the appropriate calls for winter weather procedures. Although many seem to disagree, the district has done their best to make the proper decisions in these situations for the best possible outcome. In addition to checking several of weather reports, district employees assess the conditions of the roads and sidewalks by driving within Pennridge boundaries. This is important because many student drivers may have little experience with driving in snowy conditions, and roads can still be dangerous to drive on even if the snowfall is not significant. The priority must go to the safety of the students, not the possibility of having extra school days in June. Dr. Bolton, superintendent of the district, also has to collaborate with the superintendents of the Palisades and Quakertown school districts because they all send students to the Upper Bucks Technical School. Pennridge School District is also active on social media to communicate delays and cancellations. For those not on social media, a prerecorded message is sent out to families in the district with an email and text. This ensures that everybody will be informed and no one braves the dangerous conditions when they don’t have to. However, many are still critical of the district and their decisions. Johnnie Banks, Pennridge senior, does not approve of the procedures. He showed his frustration with recent dangerous dismissal. “They shouldn’t send us out into a blizzard from a fire drill!” said Banks, who was infuriated that students were not dismissed earlier with a strong snow squall approaching. Although some decisions are questionable to many, the district takes the blame when they shouldn’t. Weather forecasts are notorious for being inconsistent, and the district bases a lot of their decisions off these predictions, but people still throw the blame onto the district. At the end of the day, Pennridge does its best to make the best decisions regarding winter weather procedures and communicating information regarding these decisions.